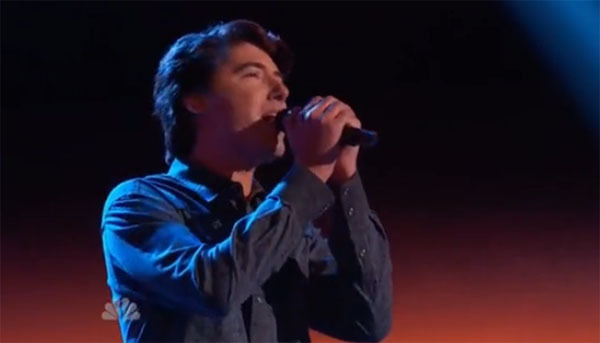 James Dupré sings ‘Let Her Cry’ on The Voice Season 9 Blind Auditions Premiere Episode on Tuesday, September 22, 2015. “You are natural. You have an American appeal. You can sing.” said Pharrell Williams. “The richness of your voice is really attractive,” said Gwen Stefani. “I believe that you are extra-ordinary. I do believe that you were better than any country singer in the show,” said Adam Levine. “Country music is my life and I appears to be your life too. I’ll make it a personal responsibility to be sure that what ever happens to you in the show, your life means,” said Blake Shelton. James Dupre picks Team Adam. Watch his performance on the video below.